Jure Doler is CMO and co-founder of Fieldoo, the world’s largest football (soccer) network, connecting over 150,000 players, agents and clubs. Football (or soccer, as some of you may know it) is one of the most powerful global industries. Football transfers in particular are growing year by year, both by quantity and revenue. In 2013, FIFA, the world’s governing football body, oversaw 12,309 international transfers with a combined transfer compensation value of $3.7 billion. Although this sounds very optimistic, there are certainly some obstacles. To start with, football transfers and connections in general (relation: player – agent – club) have historically mostly been conducted in a predominantly non-digital environment, which means that establishing a new platform (online network) required a high level of credibility. On the other hand, the reputation of football agents has been quite negative. With a number of scams, this perception has even intensified, so the trustworthiness of the platform was another important issue to build on. Those were (and still are) the main challenges facing our football network, Fieldoo. 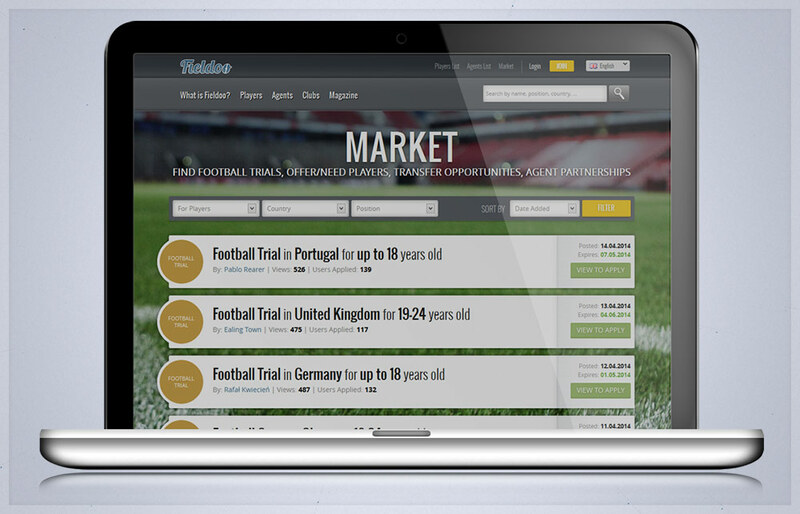 Now, less than two years after initial launch, we connect over 150,000 players, agents and clubs, with thousands of footballers that have found new club through the platform in the last season (2013/14). How have we handled those challenges? We approach them through different segments; with focused communication, PR, marketing strategies and, above all, through meaningful product solutions. Obviously, those “measures” can easily be transferred to other industries and may serve as a tool to implement for other startups in their respective fields. So, here’s what we’ve done and learned on our journey so far. If wider recognition and credibility are important, you need to create powerful PR, which also requires approaching the journalists. They create public opinion on respective industries. How do you engage them? Journalists receive many emails and industry news pitches daily, so the goal is to distinguish yourself. Here’s what we did: initially we asked journalists not to report on us but decided to interview them for our blog section. Why? Because putting them on the other side of the microphone and in the spotlight is something they are not used to. If they can spare some time, many journalists are interested in putting their voice out there, particularly if they are able to promote their own work. In the interview, we also ask what they think of our product/service. If the answer is positive, you might be able to use it as testimonial (pending approval by the interviewed). This kind of strategy brings multiple positive effects: gaining credibility and establishing a relationship with journalists who might report on you soon. Furthermore, they’ll make you additional promotion with tweets, RTs or mentions of the interview. Simon Kuper, leading Financial Times columnist, is among our most prominent examples. Industry leaders and/or influencers (in our case famous footballers and agents; beside journalists) tend to be busy, sometimes hard to reach, so prepare a good plan on how to engage them and get them on your side… or at least draw their attention. Timing is important, so we waited for our chance. We were especially focused on Twitter and closely paid attention on certain mentions, hashtags etc. Being fast to react is very important, and with bit of luck you can get an answer or RT from a star name. 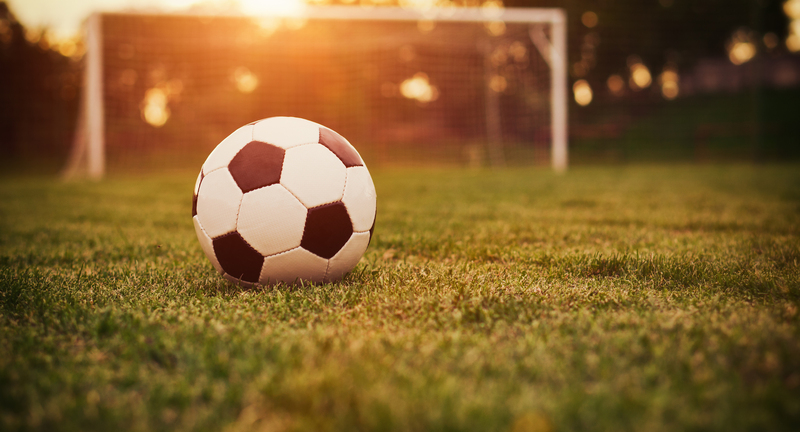 When Demy De Zeeuw, the Dutch national team player who played in the 2010 FIFA World Cup semi-finals, curiously tweeted about our service, calling us “LinkedIn for football,” we instantly used the opportunity to connect with him. We asked him to follow us and sent him a direct message for the interview. Thankfully, his responded and we were able to provide his piece of “mentoring” advice to aspiring and talented players. He felt a kind of responsibility to answer and help as the questions weren’t just about his career. He then shared the interview through his social media channels and even created a Fieldoo profile, being one of the top players using (and promoting) the service. This is a great way to gain a brand ambassador and establish a name within the industry. Our primary mission is to connect players with agents, but we wanted to go step forward and offer the ultimate goal through our service: sign a professional contract with a new club. So we came up with an idea of creating a contest where all our users would have realistic opportunity to make this dream come true. We had a brief concept of a unique project; all we needed was someone on the other side: a club or agent who would sign this player. We connected with Spaniard Josep Maria Minguella, one of the world’s famous football agents and the guy who brought Leo Messi to FC Barcelona. Through our research, we found that he actually signed Messi after seeing him play through YouTube videos. That was enough to sign him and convince Barça’s decision makers to bring in the child prodigy. We used Messi’s signing through video to convince him to cooperate in the contest and try to find another “Messi” – also through video, but this time through our service. We said, “If you miss another Messi, you’ll regret it…” and we had him hooked. The Minguella Challenge received positive feedback not only by footballers but also from worldwide media. Eventually Minguella signed a player (coincidently, it was another Argentinean striker just like Messi) from among 5,000+ footballers from all over the world and got him a club in Spain. Needless to say, Fieldoo also had a lot of positive collateral effects. As already mentioned, we needed to prove that making connections and ultimately transfers is also possible through a dedicated online network. That’s why we worked hard to present our success stories in reputable media outlets worldwide. But we needed a good story. Journalists (especially non-tech ones!) don’t care about features of your product; they want to see valuable content and its news angle. Having a unique success story with the Minguella Challenge with an attractive punchline (“Another Argentinean signed by Messi’s first agent … through internet!”) was enough to grab the attention of some of the most prestigious and relevant football media (France Football, ESPN, La Gazzeta dello Sport, Marca, Goal.com, etc.). Again, research plays an important role, and you need to go beyond the “surface” of the search. Look for connections and potentially helpful hints. For example: the editor of the LatAm version of ESPN was Argentinean, so we knew he might be more interested as the main star of Minguella Challenge was his fellow Argentinean. And we were right – he was happy to write an extensive article on it. That’s what we did on an important industry issue of fake agents that were promising players unrealistic offers and taking advance payments for non-existing services. When the Bleacher Report ran a general story on it, we contacted an author and disclosed him more details, like email patterns, their typical behavior, etc. BR wrote an exclusive follow up story, which generated wider interest. Consequently, we got in touch with the institutions that handle those cases (ICSS – International Centre For Sport Security as one major group). Over all this, post content plays an important role. Not just to “host” the above-mentioned interviews, but also to build the authority in our field of expertise. Of course, this also has long-term positive SEO effects and (over the time) getting – free of charge – new customers directly through this channel. There are a lot of info on football transfers scattered all across the Web, so we put them in one, organized place and made it easier to consume, adding specific and useful topics. We even uploaded some docs (contract examples etc. ), so the users are able to download them and use them. We used to call this section our ‘Blog,’ which sounded logical to us. But after several user interviews, we surprisingly found out that they actually don’t understand exactly what blog stands for. That’s why we changed the name to Magazine, which sounded more common for our user segment. So, if your customers are not fully comfortable with more tech names – such as blog in our case – just change it to something more understandable. Nevertheless, the product always has a key role and serves as the “flagship” to prove that at the end of the day, the things you’re doing have meaning, value and honesty. That stands for being 100 percent committed and focused in the broadest sense of the word. If needed, fix a bug, offer a 24/7 support through multiple channels, deploy urgent features or react on industry problems (fake agents). In the latter instance, we implemented some important product measures to ensure transparent and trustworthy relationships. This begins with warnings on Market posts (i.e. agents’ football offers) and open communication with our users to cooperate and report eventual scammers. As we detected fake agents as the biggest industry problem, the product response was top priority. We created an algorithm to auto-detect fake agents and some other issue-related things. It helped us to save and protect hundreds of our users from the scammers, and they were grateful for our effort, which also resulted in their higher loyalty and trust rate. Eventually, the sum of all this activities helped us to create a platform we like, which brings players, agents and clubs to one common platform they are familiar with. Slowly but surely, we convinced them that this kind of business can be done online; cheaper, faster but no less credible and trustworthy. The beauty of all is that new challenges are always popping up, as they may in your particular market as well. Do your best to seize the opportunity creatively, and pretty soon you, too, can build your own brand credibility.